We are now able to confirm that we will be streaming the Sharing Your Faith at Work: Embarrassing, Inappropriate and Unprofessional? event staged by LICC in London to Assembly Buildings on Monday 25th November 2013. The event proper begins at 7pm, however it would be helpful if participants aimed to be there for 6:45pm. The event is free and no booking is required, however to help us gauge response and choose the most suitable room please email bmi@presbyterianireland.org with numbers from your congregation who wish to attend by Wednesday 20th November. Church Resources 2013 takes place at the Ramada Hotel, Shaw's Bridge, Belfast on Thursday 28th February and Friday 1st March 2013. This is an informative and inspirational event for anyone involved in Church life in N.I. The Seminar Programme includes sessions on: Church Growth * Growing in Your Personal Faith * Telling Bible Stories * Redeeming Relationships * Café Church * Overseas Mission * Gift Aid * Enjoying Reading the Bible * Sunday School Teaching * Beating Bickering in Your Church! ... and more. While all Seminars are FREE of charge, seats must be reserved in advance - this can be done online. The Exhibition Hall will host displays of: Bibles * Books * Sunday School Material * Teaching Aids * Small Group Resources * Sound and A.V. Equipment * Church Furniture * Mission Information * Residential Centres and Holidays * Organs and Pianos * Printing / Copying * Heating ... and much more. The new Explore App is free to download. An App for mobile devices that means you can read Explore bible notes on your phone or tablet computer. Anyone with an iPhone (3G, 3GS or 4), iPad, iPod Touch, Android phone or Android tablet. You can download it in pretty much any country in the world - you don't have to be in the UK or US. It comes with Time with God pre-installed, so as soon as you download it, you can start using it to read the Bible. All relevant Bible text is included within the App (including cross-references) and once you've downloaded it, you don't need to be connected to the Internet to use it. So you can use it on the Tube, on a flight etc. You can download additional notes from within the App which are the same as the paper edition, although they come in one month chunks, not three months. It is free to download, complete with Time with God. Additional months of notes cost £1.49 in the UK (in the US it's $1.99). These can be downloaded from the Download section of the App. It is not possible to download this App from The Good Book Company website. 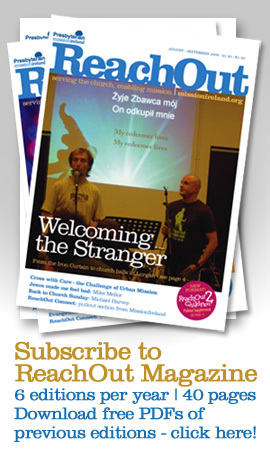 Church Resources 2012 is a stimulating, information-packed, 2-day event for everyone who is actively involved in the life and witness of local churches across Ireland. Resources on display fall into 2 categories: those which cover the ’nuts and bolts’ requirements of churches e.g. Sound Systems, Lighting, Heating and Furniture; and those which assist with the spiritual/pastoral side of church life e.g. Teaching and Study materials, Outreach resources and Bibles and books.